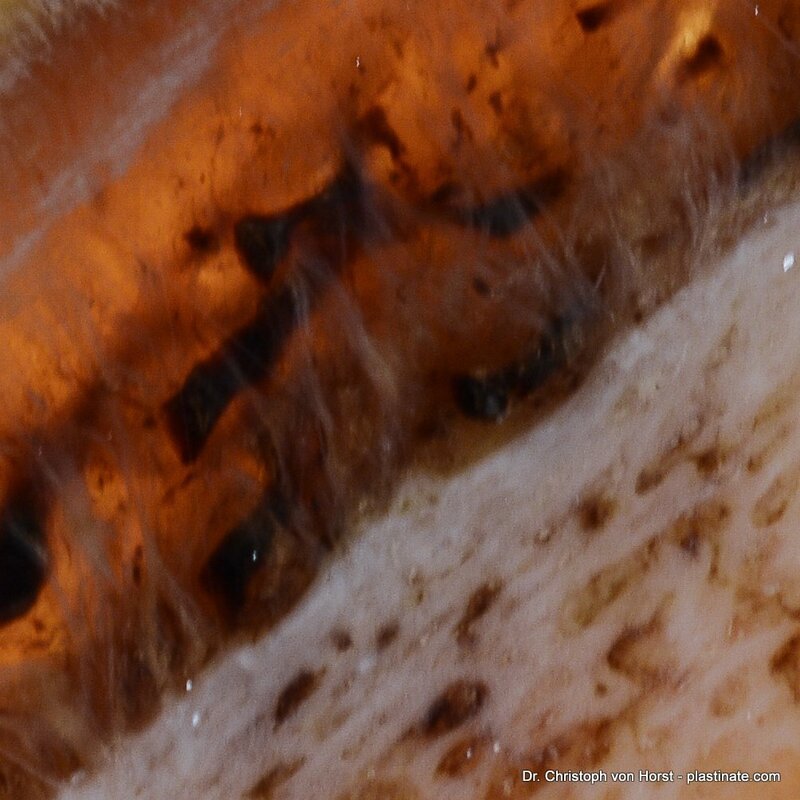 Horse hoof plastinate with distal phalanx (P3), hoof corium and wall. 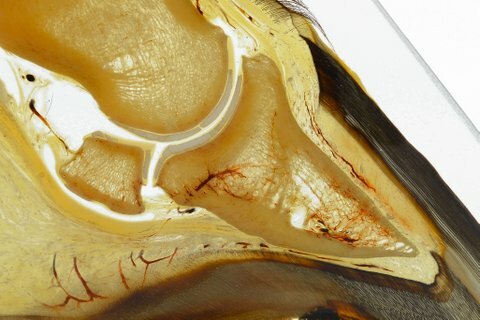 High resolution anatomical photographs of SI-Sheet plastinates of the hoof show structures which reach vom the coffin bone into the hoof corium. These might be part of the suspensory apparatus of the distal phalanx. 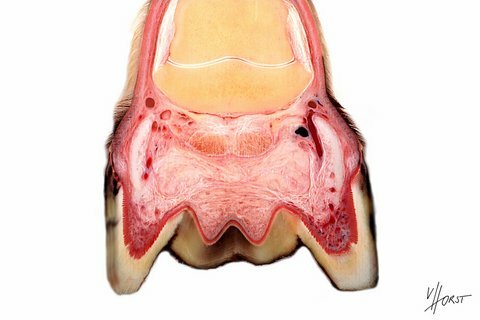 I had discussed with Chris Pollitt in the past whether it would be possible to visualise the mesocopic details of the suspensory apparatus of the distal phalanx in sheet plastination specimens. 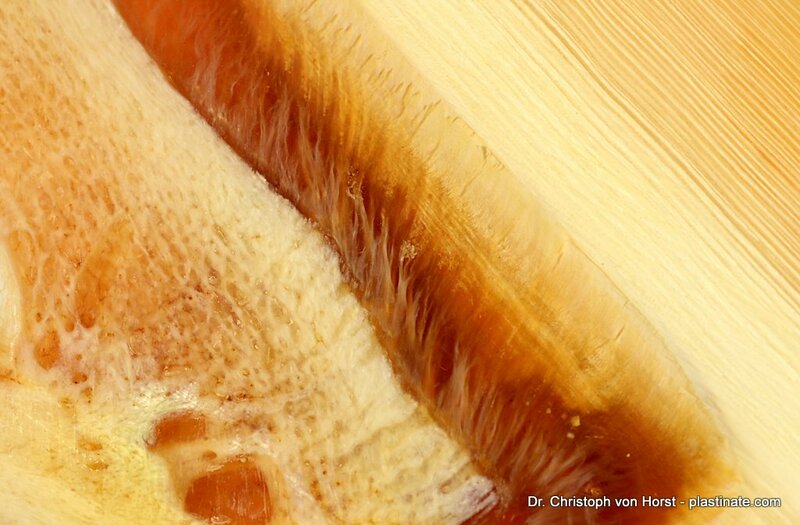 With the help of the SI (Selective Impregnation) – method it might be possible. 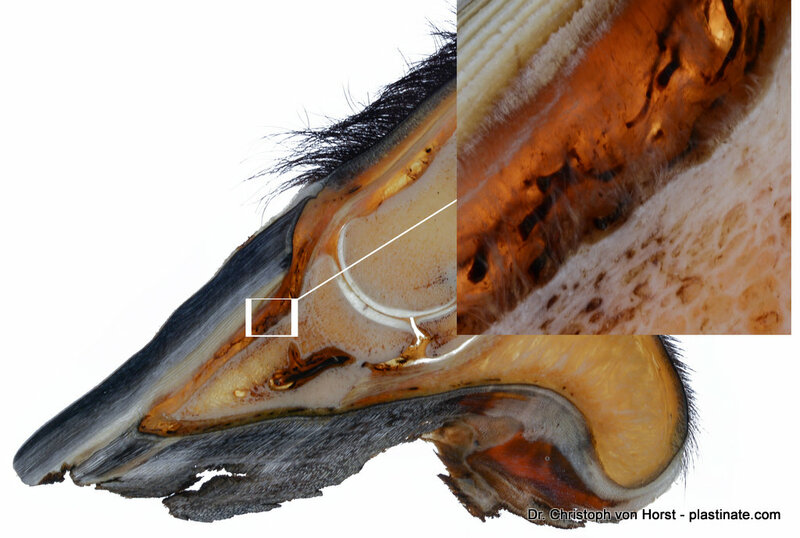 I will examine more hoof plastinates and check whether these structures can be found in all hooves or if they might be a result of hoof disease like eg. laminitis. Meanwhile I am looking forward to your comments and ideas. 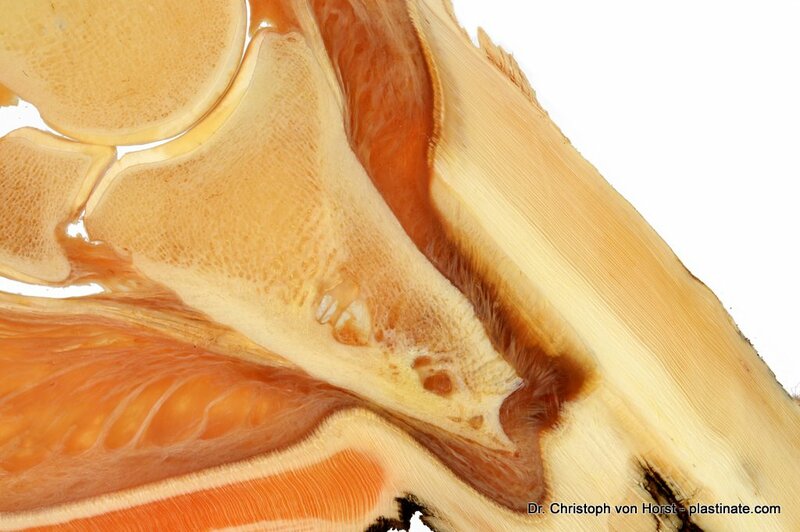 You can also find this picture in slightly higher resolution together with many other interesting pictures of the horse hoof anatomy in the Equine anatomy gallery at the HC Biovision website.